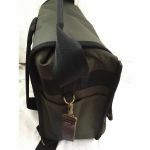 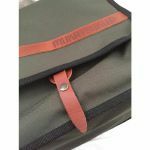 British made high quality bespoke hand crafted 12 inch soft Olive backpack/record bag with embossed leather branded front. 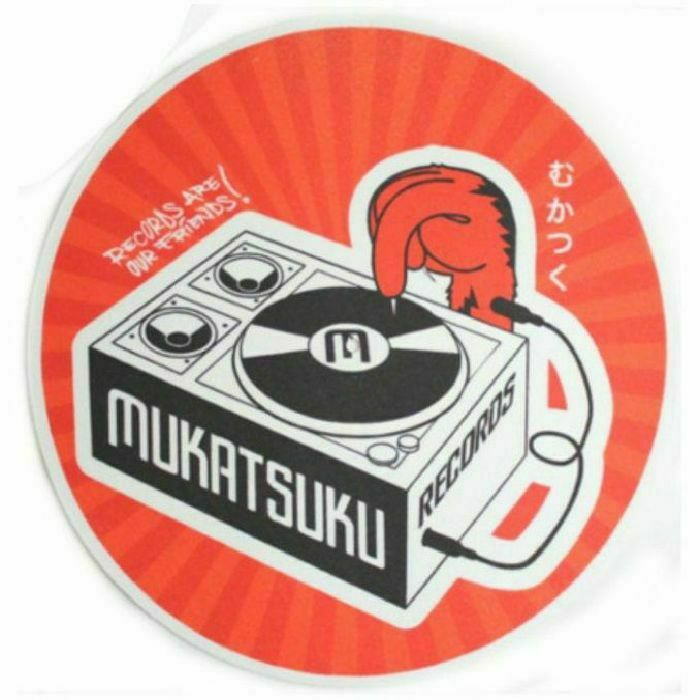 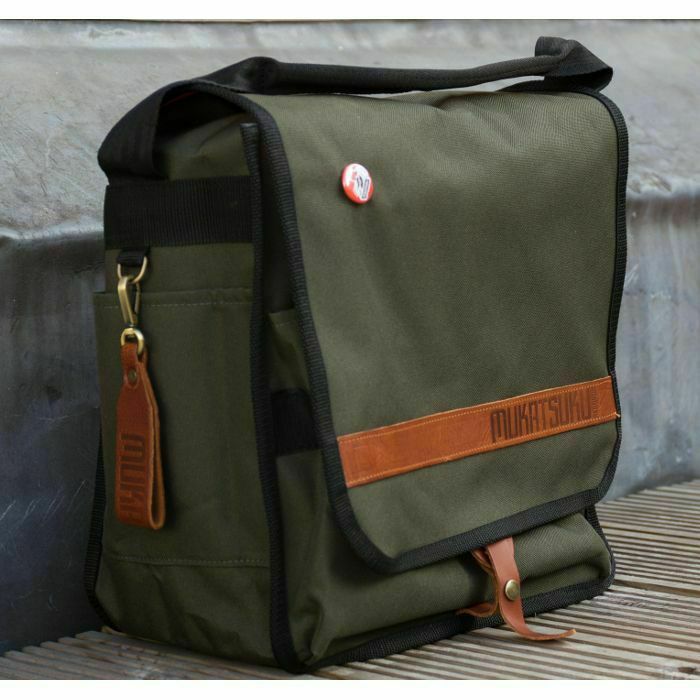 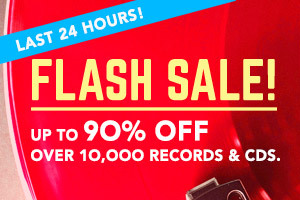 This Mukatsuku bag - exclusive to Juno - holds up to 50 x 12 inch records and comes with branded leather keyring, metal button badge, 1x Mukatsuku 12'' slipmat (nb.colour might vary from image), padded backpack shoulder straps, separate top carrying handle, stickers, inside zipper compartment and additional pockets for 45's/headphones etc. 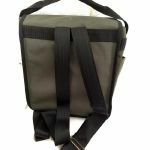 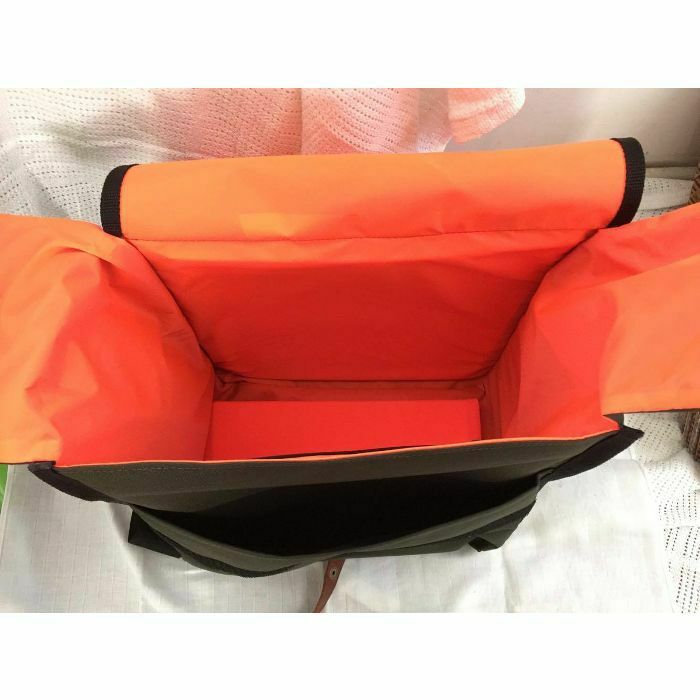 Please note this bag is not padded and is designed to be folded down when not in use for easy storage.